The city of Lake Worth working with the CRA buying homes to make way for public parking. LAKE WORTH, Fla. — A daily walk for Harry Lichter and his dog along South "K" Street. He's lived in the neighborhood for years. He told WPTV his house was built in 1938. But soon houses down the street from his will be gone. "If they want more parking, we have enough here now. If they want more they can take the lots that exist and put a second, third or fourth floor on it," said Lichter. 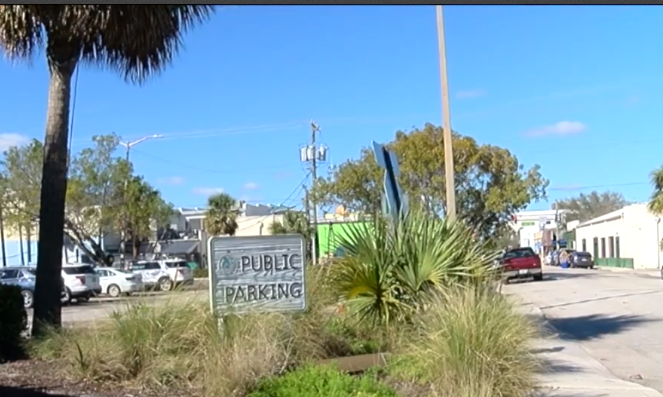 The City of Lake Worth is working with the CRA buying homes to make way for public parking. The house on South "K" Street and the one next to it that borders 1st Avenue south are two of them. Joan Oliva, Executive Director for the Lake Worth Community Redevelopment Agency told WPTV parking in the downtown area can be a problem. "We hear over and over again from the downtown property owners specifically the merchants that there are not enough places for parking,” said Oliva. The closing date will be at the end of the month. "If it's rented out, the people will finish their leases when they are there if they have leases." Other properties affected are on the south "I" and "M" Streets. Some of them are rental units. "We are still in discussions what will happen there, but will probably be a combination of housing and parking." Now, it's whether the houses should be demolished or moved. The CRA will turn to the Historical Society. "And then after that depending on what they say then the city could possibly demolish or move the homes and then build parking."